The victim has been identified by Alaska State Troopers as 25-year-old Grant Hildreth Jr. According to the AST report, crewmembers “attempted to get a flotation device to Hildreth; but Hildreth went under the water and has not been seen since.” It was reported that Hildreth was not wearing a personal flotation device at the time of the incident. 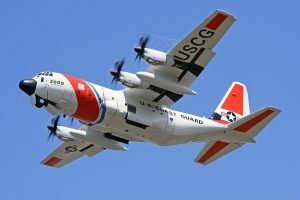 While the U.S. Coast Guard has not reported Mr. Hildreth as deceased, a lieutenant issued a statement of condolences to the Hildreth family. “Our deepest condolences go out to his family during this time of grieving,” said Lt. Stephen Nolan, the command duty officer at District 17 Command Center. “Even though we were unable to find the man, we are thankful that so many good Samaritans were willing to assist for the duration of the search.” The cause and details of the accident are under investigation. Weather at the scene was reported as 12-mile visibility, 8-mph winds, and calm seas with a strong incoming tide.